Crown Publishing Group (NY), 9780307955630, 400pp. 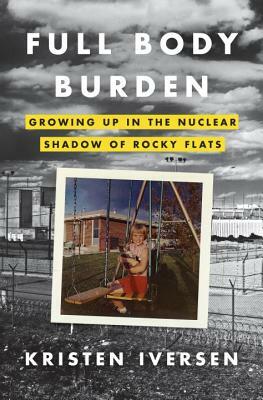 In this book, author Kristen Iversen weaves together two narratives: a memoir of growing up in Arvada and an historical account of Rocky Flats and the nuclear industry. What effect did moving back and forth between the two storylines have on your experience of reading the book? Did you find one of the two storylines more compelling than the other? Can you think of a different way the book might have been structured? What themes are shared by the two narratives in the book? How are they expressed in each narrative? When Kristen is a child, her mother tells her, “I think [Rocky Flats] makes cleaning supplies. Scrubbing Bubbles or something.” (p. 12) Later, when protesters rally against the plant, her parents ridicule the protests. By the end of the book, however, Kristen has worked at the plant and joined the opposition to it. What are some key moments in the evolution of her views about Rocky Flats? One of the most dramatic passages in the book depicts Stan and Bill fighting the “Mother’s Day Fire” at Rocky Flats (pp. 26–38). Iversen describes the scene in detail, from the “burning globes” that crash from the ceiling to the underpass beneath the glove boxes. What parts of the scene were most vivid or memorable for you? While horseback riding one day, Iversen is disturbed when she comes across a dead cow at the edge of the lake near her house, and she describes the mountains nearby as “a dark, heavy presence, a watching shadow.” (p. 71) The discovery of the cow seems like an ominous portent. Are there other examples of foreshadowing in the book? From Fluffy to Tonka to the wild rabbits and deer at the Rocky Flats site to the deformed chickens, animals are a constant presence in the book. What role do animals play in the storyline? How were pets and animals important to Kristen’s household, and why? When Kristen was fourteen years old, her father crashed the family car. Afterward he said he had swerved to avoid an oncoming car, but it was clear to her that he had been drinking. Since her parents did not seek medical treatment for her, it was not until years later that she found out she had broken her neck. She writes, “We never speak of the accident again. Silence is an easy habit for a family or a community. This is just for us to know. Eventually we’ll forget this ever happened.” (p. 110) At what other times do we see her family’s “habit” of silence? How does it affect her? Can you think of a relationship in your own life in which you and a close friend or family member never talked about something vital to both of you, or pretended that it had never happened? At one point, Kristen’s mother takes the family to see a psychiatrist and each member of the family draws a picture of home (pp. 120–121). The passage reveals key elements of the family dynamic. What did you learn about each family member’s coping mechanisms from this scene? In what different ways did Kristen and her siblings respond to their father’s alcoholism, and to the secrets of Rocky Flats as they were revealed over time? In 1978, protesters were tried for trespassing and attempting to obstruct the activity of Rocky Flats. They base their defense on a little-known “choice of evils” law in Colorado. The law says that an illegal act is justified if it is done to prevent a greater, imminent evil or crime. The judge decides that the law isn’t applicable in their situation (p. 158). Do you agree with the judge’s reasoning? Have you ever been in a situation where this law might have been applicable? Immediately after Kristen learns that Mark has died, her parents argue and then her father knocks on her bedroom door. “How can I let him in when a thousand times he has cast me out?” she asks herself (p. 166), and she does not let him in. Do you think she was right to protect herself from her father? If she had let him in, what do you imagine they might have said to each other? There are several passages in which Rocky Flats workers are contrasted with the activists seeking to shut the plant down, such as the scene with well-to-do protester Ann White and working class security guard Debbie Clark (pp. 193–194). How did the two groups feel about each other? Were there any similarities or sympathies between the two groups? Full Body Burden contains many surprising facts about Rocky Flats and about radioactive contamination, such as the fact that a single microgram of plutonium is a potentially lethal dose (p. 24) or that in 1970 there was no emergency response plan to protect the public in the event of a major disaster at Rocky Flats (p. 67). What fact made the deepest impression on you? The poem at the end of the book, “Plutonian Ode” by Allen Ginsberg, was written on the occasion of the 1978 Rocky Flats protest and specifically refers to Rockwell, Rocky Flats, and other nuclear weapons facilities. In it, Ginsberg describes plutonium as a “dreadful presence,” a “delusion of metal empires,” and as “matter that renders Self oblivion.” Why then does he call the poem an “ode”? How does the poem reinforce the message of the book? During the Cold War, an impenetrable veil existed between the nuclear weapons industry and the general public. The U.S. government considered this secrecy necessary for national security. Do you think there is any way the government could have communicated more to the general public without jeopardizing the nation’s safety? For many years the nuclear weapons industry was exempted from environmental regulation because national defense was considered a higher priority. This book reveals the tragic consequences of that exemption. Are there situations in which you believe it is justified to exempt the government, certain industries, or private companies from the law? We live in the era of Facebook, Twitter, and other forms of social media, as well as organizations that seek transparency in government, such as WikiLeaks. Do you think the level of secrecy maintained by the DOE and the operators of Rocky Flats during much of the plant’s history could be maintained today? Do you live near a nuclear site or nuclear power plant? If so, has your state or local government informed you of the potential risks of living near such a facility, or about emergency response plans in the event of a serious accident involving radioactive contamination?